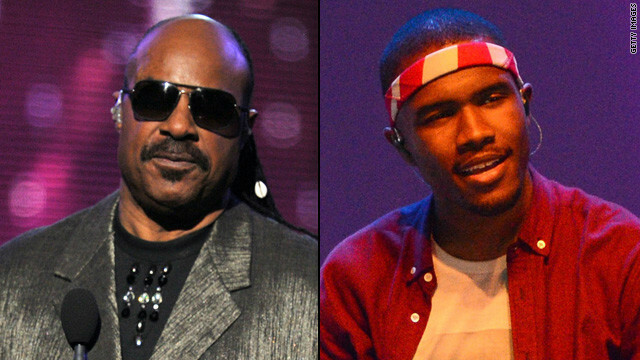 This must be the holiday weekend for further explanations, because, like Seal before him, Stevie Wonder is also taking a moment to clarify remarks he's made in the press, with his being about hot topic Frank Ocean. 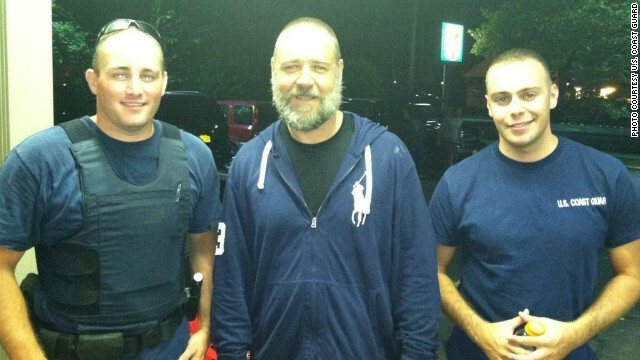 Actor Russell Crowe, center, poses with the Coast Guard members who assisted him. Poor Russell Crowe. The Oscar-winning actor from "A Beautiful Mind," "Gladiator," "Robin Hood" and "The Insider" had a little kayaking mishap over the weekend. The Coast Guard had to rescue the actor and a friend off the coast of Long Island after they called for help on Saturday night. Crowe later quipped that the pair "ran out of day." He's doing fine afterward, so the incident got a lot of commenters coming up with some clever remarks and one-liners. We picked five favorites and shared them below. 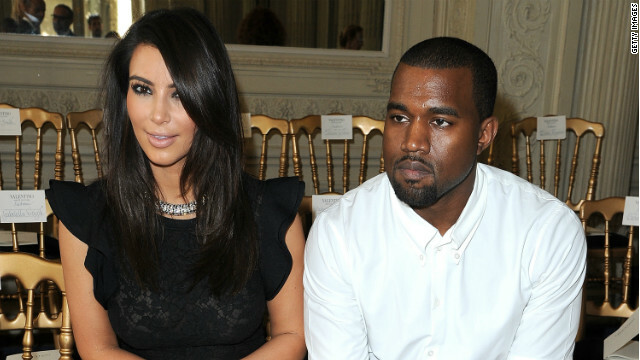 Kanye raised plenty of eyebrows a few weeks back when he said his song "Perfect B***h" was inspired by his current lady love, Kim Kardashian. While Kim was rumored to be A-OK with his use of the term, the same can't be said for everyone else who heard about it. While he didn't acknowledge that song in particular, Kanye did take a moment over the weekend to reflect on the word's use. As the summer movie season draws to a close, we've got box office champions like "The Avengers" and "The Dark Knight Rises" ... and then we've got question marks like "The Oogieloves in the Big Balloon Adventure." The newly released kids film, which features giant "Teletubbies"-esque creatures along with stars like Jaime Pressly, Cloris Leachman and Toni Braxton, has set the bar for low performance having earned just $674,000 since it opened last Wednesday.